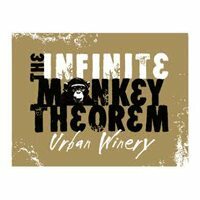 Because The Infinite Monkey Theorem believes the culture surrounding the winery helps define the wine’s quality, the winery takes its position and influence in the local Denver community very seriously. The wines are not only expressions of the local fruit, the process, and the personality of the winemaker, but also expressions of the people drinking the wine. It is a product born out of the community and thus representative of the community. If you are looking for a private experience, please schedule a Tour, Private Barrel Tasting or rent the entire space.